The Transi of René du Chalon by Ligier Richier, sculpted circa 1550. Atlas Obscura on Slate is a blog about the world’s hidden wonders. Like us on Facebook,Tumblr, or follow us on Twitter @atlasobscura. Ordinarily, the statues of heroes who die in battle are sculpted in grand style, depicting the valorous fighter with a fierce stance, formidable muscles, and a determined expression. Not so in the case of René de Chalon, the 25-year-old French prince who perished during the siege of Saint-Dizier in 1544. 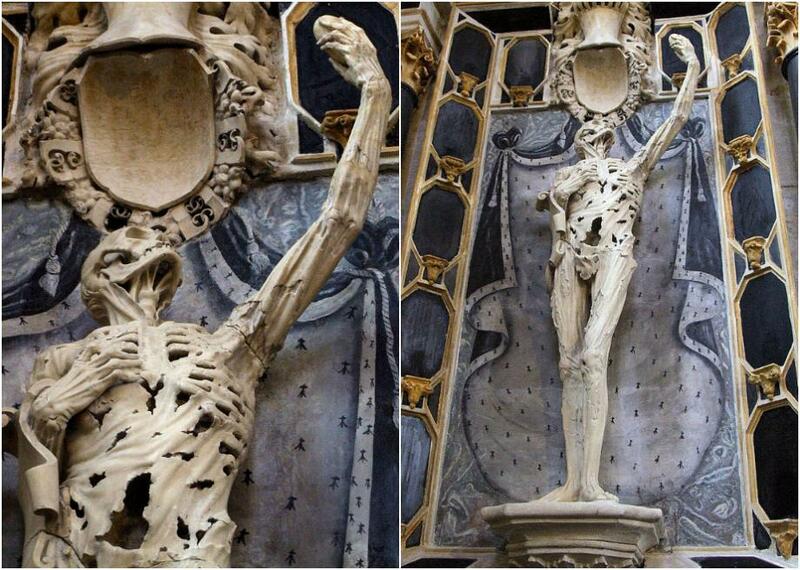 When it came time to memorialize the prince in stone, Renaissance sculptor Ligier Richier carved a rotting corpse with shredded muscles falling from the bones and skin hanging in flaps over a hollow carcass. The exposed skull looks toward a raised left hand—originally, this hand held the prince’s actual dried heart. It is believed to have gone missing sometime around the French revolution, after which it was replaced by a smooth stone. The Transi of Rene de Chalon at the Saint-Étienne church in Bar-le-Duc. 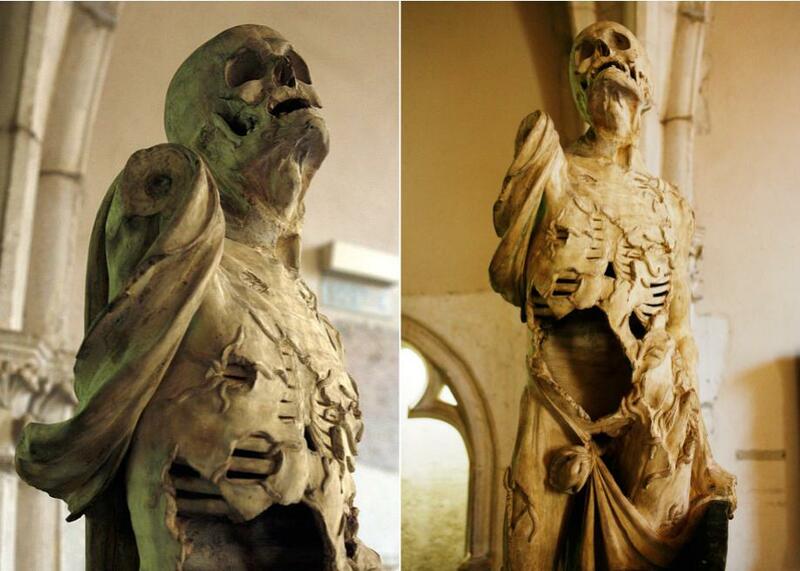 The statue, on display at Saint-Étienne church in the French city of Bar-le-Duc, is known as a “transi.” Popular in western Europe during the Renaissance, the art form depicts a deceased person during the transition between life and death—the corporeal husk of a departed soul. It’s a particularly impactful memento mori. 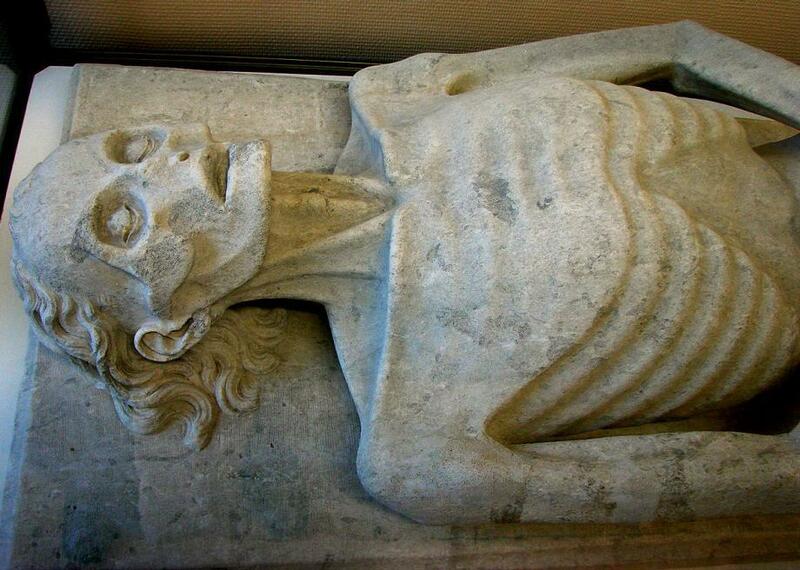 From the late 14th century onward, some tombs were also adorned with recumbent transi sculptures. In contrast to the usual serene depictions of eternally sleeping saints, these “cadaver tombs’ showed the effects of death in stark detail. 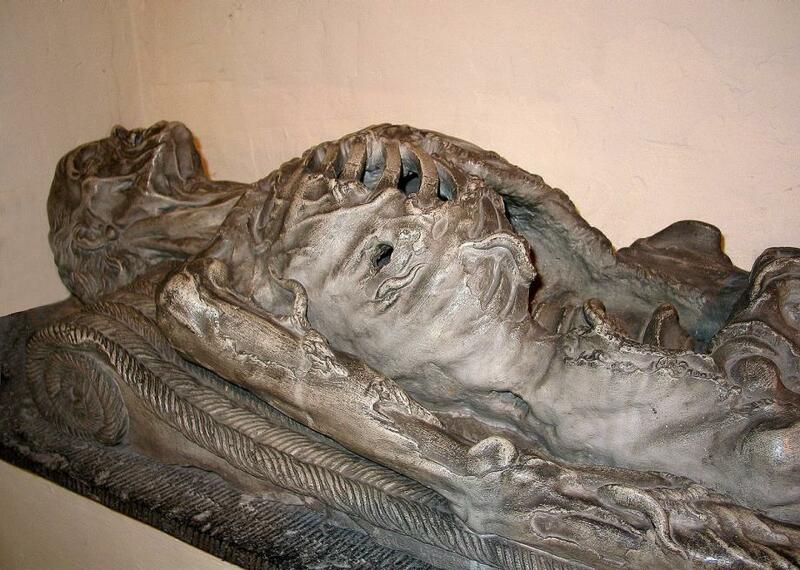 The effigy of French doctor Guillaume de Harsigny is emaciated and noseless, while Belgian sculptor Jacques du Broeucq’s 16th-century “l’homme à moutons” (“man eaten by worms”) shows a decaying body riddled with the wriggling creatures. Visit Atlas Obscura for more on the Transi of René de Chalon. Jacques du Broeucq’s 16th-century “l’homme à moutons” (“man eaten by worms”). The transi on the tomb of Guillaume de Harcigny. 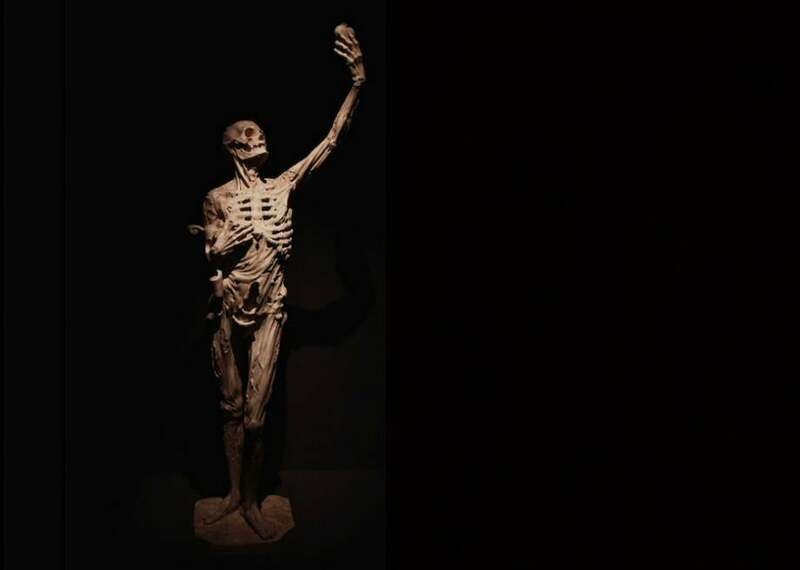 A transi by Ligier Richier at the Musée des Beaux Arts, Dijon.